So it would seem that in our recent update I switched the IDs for the war drop and the war prize in the database! Obviously, this was not intended and a VERY big problem so we stopped the servers as soon as possible. While we were down, we corrected the error in the database. We then found all the players who received the item. 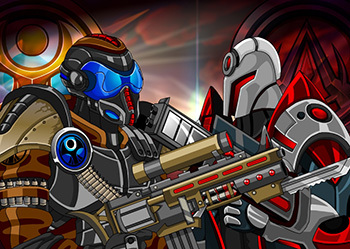 Before we removed the prizes, we reimbursed the players for any credits spent on upgrading it. If anyone equipped cores to it, we returned those to the player's inventory. 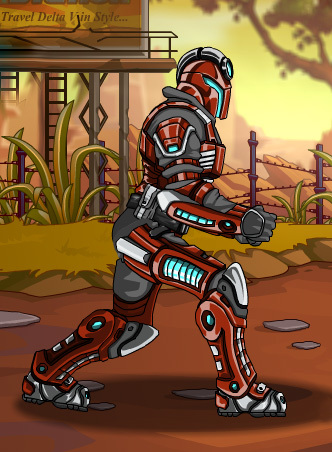 If anyone equipped the armor, it was removed and reset to default. Sorry for the inconvenience, confusion, and brief delight/outrage this may have caused! This Friday, for the first time in over 2 years, the Dread Plains will be contested once again! 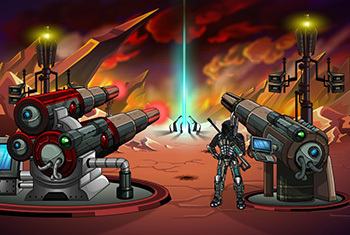 Collect Dread Bombs and Dread Shells to gain or maintain ownership of the Control Array! The winning alignment of this region will also be eligible to receive a new, rare war prize! 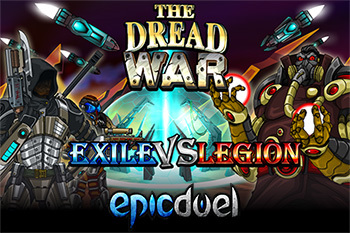 The Legion took a beating in the last war cycle, as the Exiles rallied and overwhelmed their ranks. Can the Legion surprise this time and use their brutal tactics to unseat the Exiles? 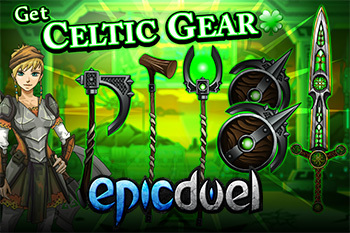 The coveted Celtic Gear will be available from Naomi March 1st!